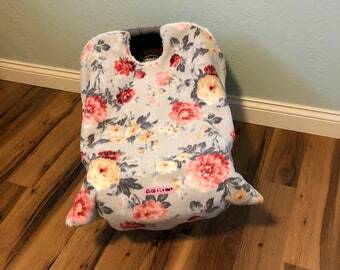 The Snug L Bee car seat blanket makes winter travel with your baby easy and safe! 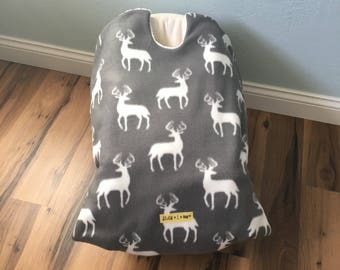 Whimsical woodland pattern and a white super soft, fluffy, and warm inside. 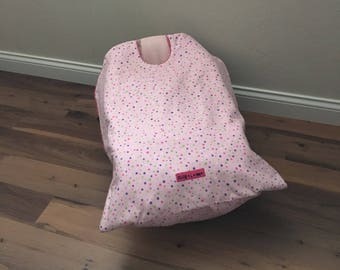 The Snug L Bee is a completely unique design that I created after being unsatisfied with my search for the perfect car seat blanket. The Snug L Bee is safe, snug, stylish, and mom approved! Safety comes first! 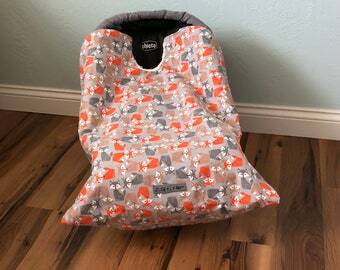 The Snug L Bee is the safe alternative to keep your child warm during travel throughout the cold winter months. Winter jackets and snowsuits inhibit the ability to properly tighten the car seat straps and compromise the safety of your child in an accident. What’s a parent to do to keep their new bundle of joy safe and warm while traveling in winter? The Snug L Bee is the answer. The Sung L Bee comes in many trendy and hip designs. 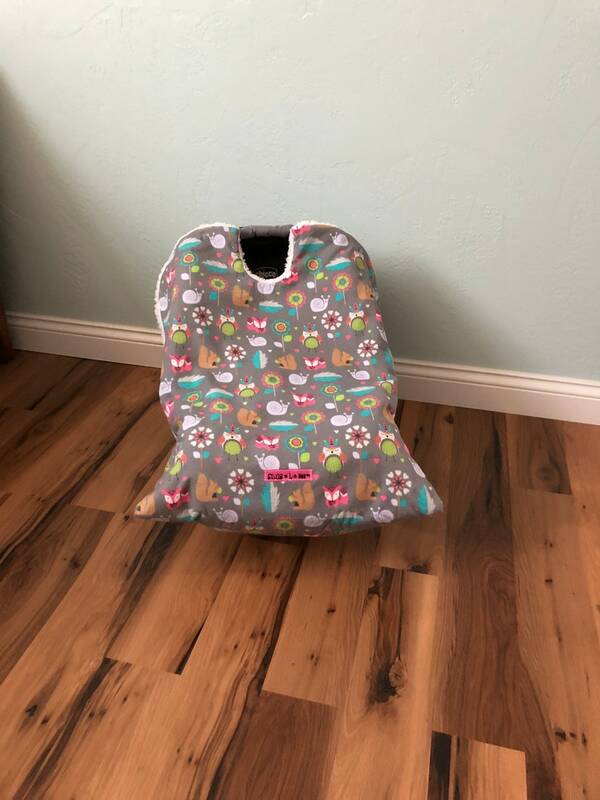 Not only is the Snug L Bee stylish but super convenient to put on and take off, and machine washable. 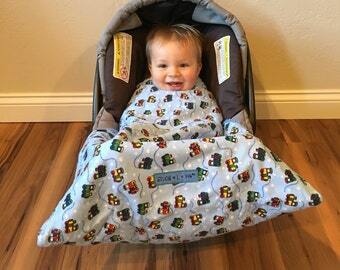 It can also be used in strollers, swings, bouncers, carriers and as an additional warm blanket around the house. 1.Properly buckle your child into the infant carrier. 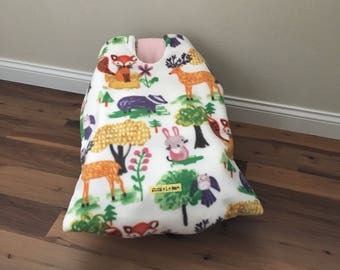 2.Position the blanket over your child, place their feet in the snug pocket, if desired tuck the Snug L Bee behind their shoulders.